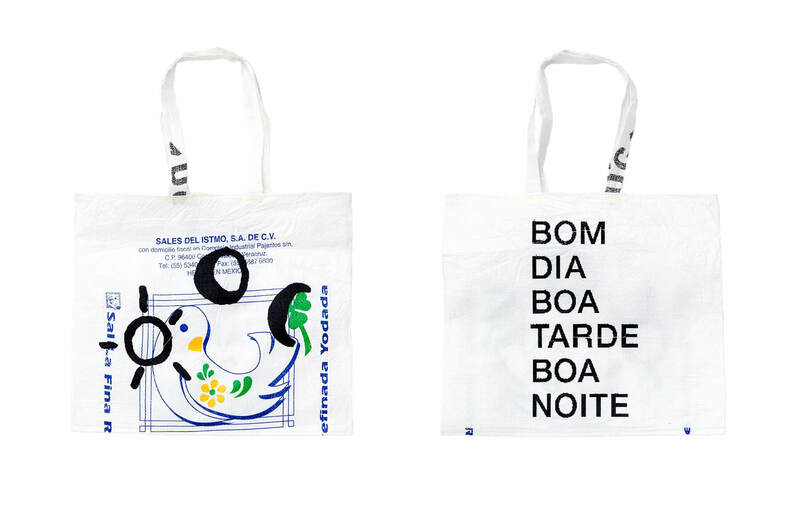 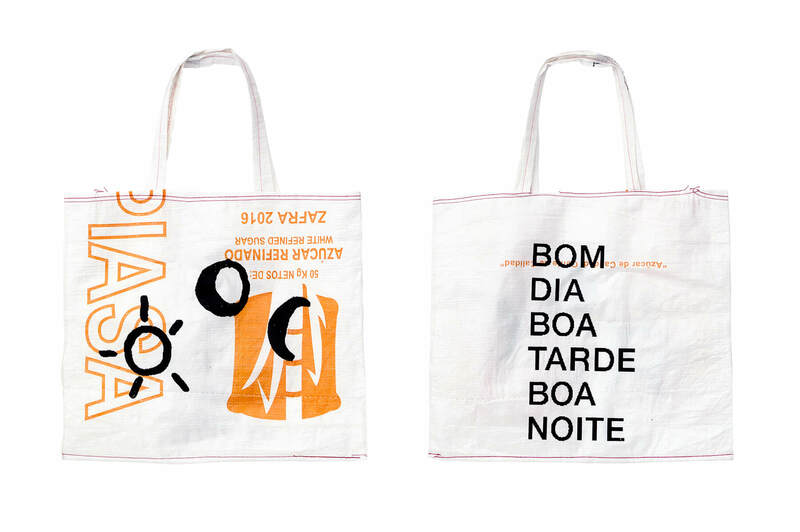 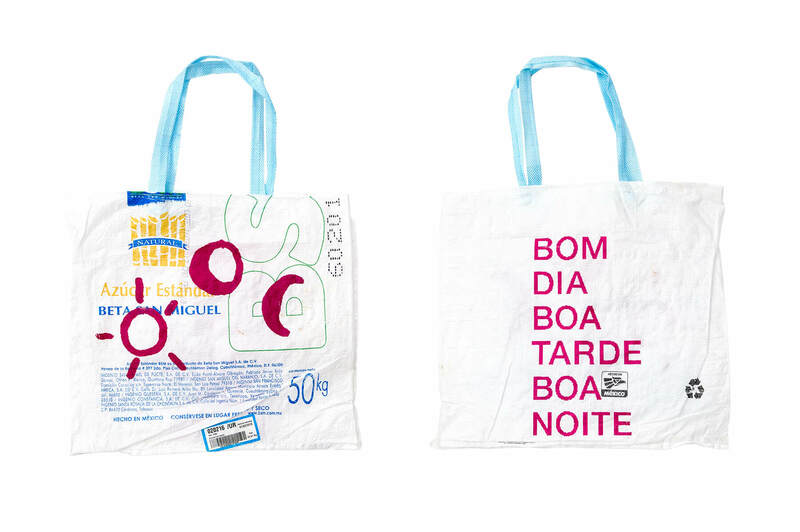 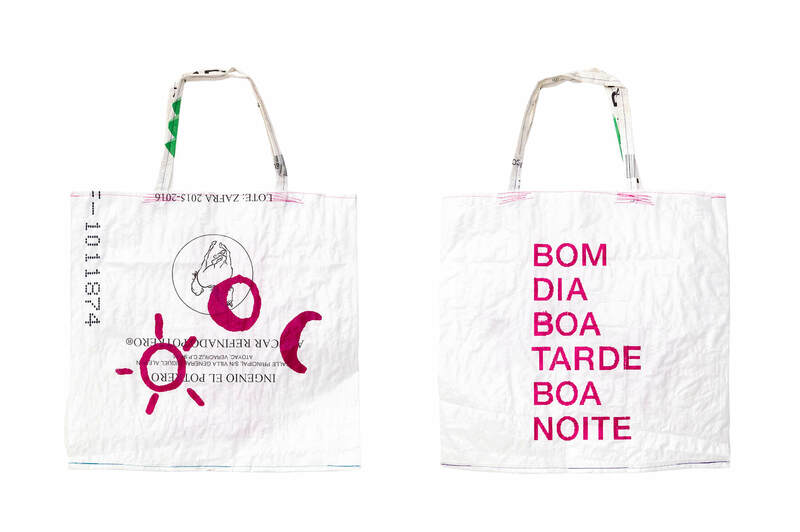 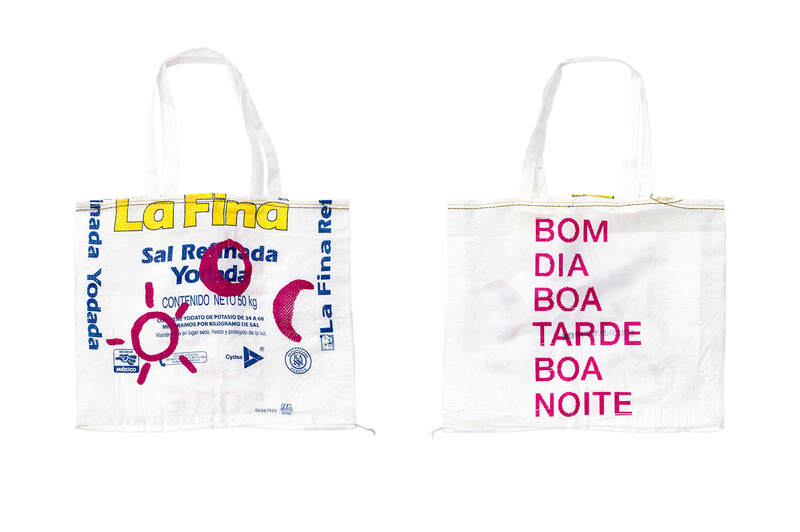 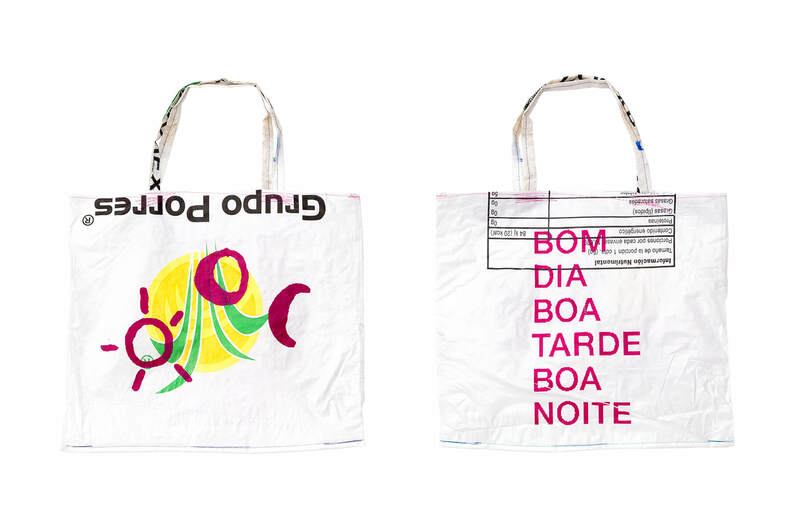 BOM DIA BOA TARDE BOA NOITE logos in black or pink silkscreened on top of sustainable rice, corn or sugar bags from Mexico. 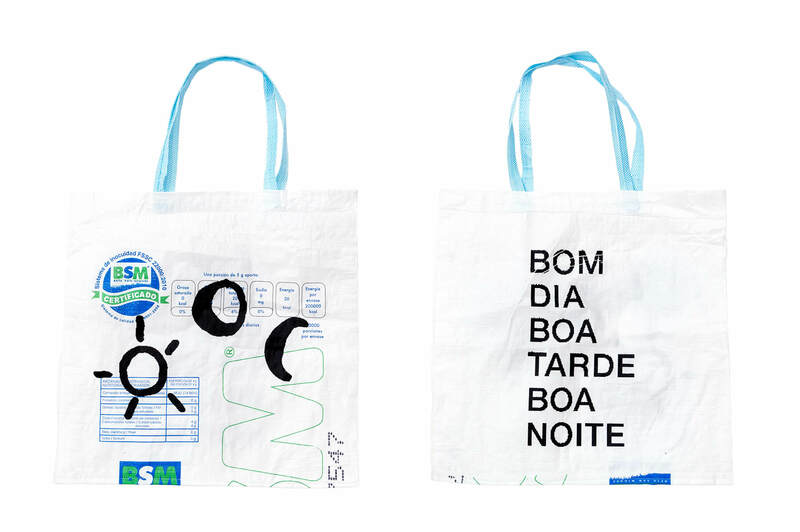 Patterns and dimensions vary. 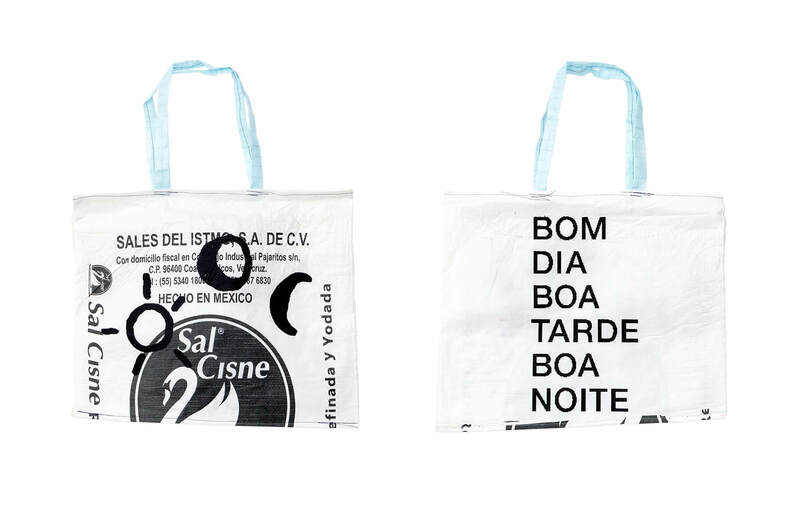 Please contact us if you’d like to receive a particular bag.